Hey guys! 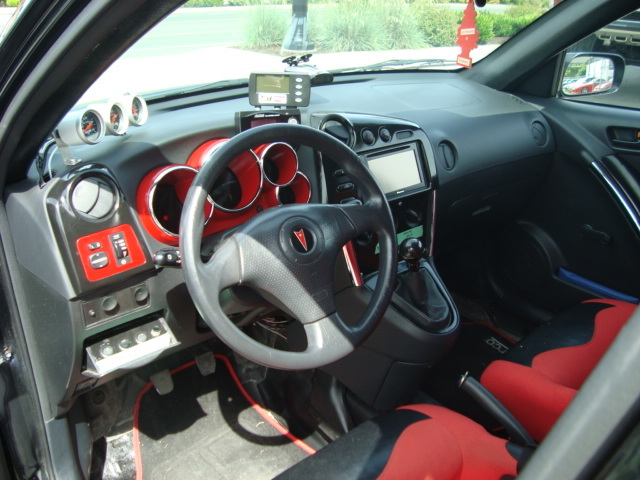 I was wondering if anyone could give me some advice about this 2003 Pontiac Vibe I have been looking at. Since I am new here and not sure if I can post links I will just copy the ad into my post below. My first concern is the price. With this many aftermarket parts and relatively low mileage, how can the price be so low. Some of the pictures show the lack of front grill and Pontiac logo. I asked the seller about this and he said they were removed for the FMIC. Why would the Pontiac logo need to be removed for the FMIC? My concern is that it had some front end damage and the bumper was just replaced. Seller tells me the turbo is from xs power. Is this a good turbocharger? I tried to find info on the link that is painted on the inside of the hood to see if I could track down who did the work but had no luck finding any info about it. In case you are wondering, this car is being sold by a dealer which deals in Japanese imports and is located in the Vancouver area. I'm assuming they toke this car in on trade since it's not RHD and doesn't appear to be a Japanese import. 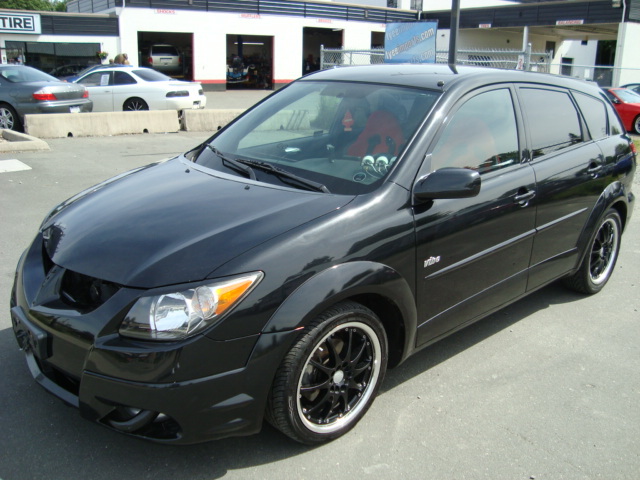 a pontiac vibe is essentially a toyota matrix with different bumpers and re-badged with pontiac. theres nothing in or on that vehicle that is gm. looks like someone spent a lot of money on this setup but for only 6psi ? if you do decide to purchase it then make sure you check the engine oil color and smell. if you see fresh oil in the engine then that is usually a good sign someone is hiding something. also if you smell the oil and it smells like differential oil this will tell you there is bearing wear or engine knocking. heavy weight oil will temporarily stop engine knocking/ticking. also make sure you test drive it to make sure the trans shifts fine and doesnt grind or slip. looking at the pic i see one concern. fueling for boost. it appears there is an fmu controlling fueling and most likely nothing else. an fmu is not as precise as a tune. 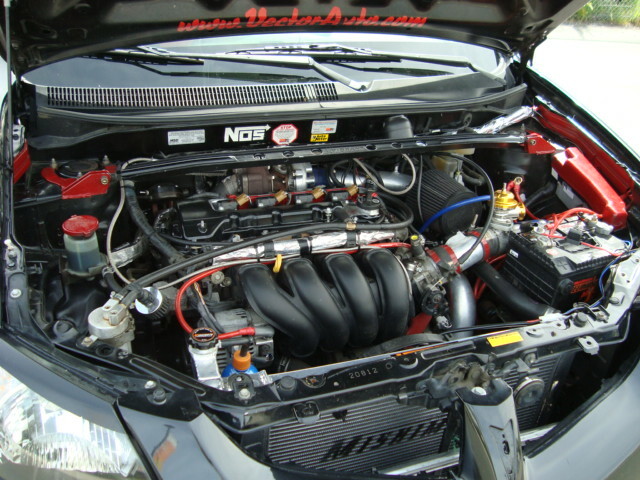 if you do decide to purchase it i would remove the fmu and actually get a tune with larger injectors. 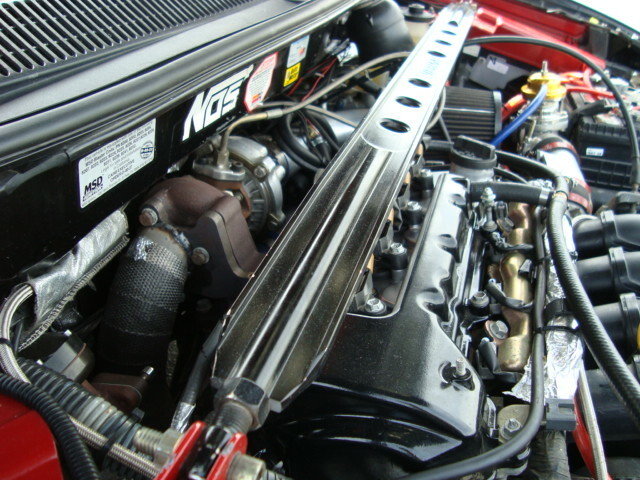 this will allow you to raise the boost to ~ 10 psi on the stock motor safely whereas the fmu is a limiting factor on this setup at only 6 psi. with a tune this motor should make 80-100 more hp at 10 psi. anyway! good luck. let us know what you decide. XS Power is a Chinese turbo importer. Supposedly they've improved since the infamous pictures of a turbo that had its compressor epoxied together and it broke in half, but it's still something of a grab bag - some Chinese turbos seem to hold together for 20,000 or more road miles (and counting - the guy I'm thinking of is still using that turbo from what I know), sometimes they start giving you oil smoke after a month, sometimes it's even worse. Given the shady reputation of Chinese turbos and the nitrous sticker, chances are most buyers are understandably going to pass this one up for a stock one. Thanks for the advice guys. Gives me something to think about. I'm new to turbochargers and the more I hear and read about them the more I get the feeling that Turbos are money pits. 20,000 mile lifespan is pretty short. I would hate to have to replace the turbo every 20,000. I definitely don't feel I need a trubocharger. I am just after above average horsepower for a 4 cylinder. I was thinking Honda Prelude at 200HP stock would be a decent ride. Maybe I should look into superchargers for better reliability and easier maintenance?? Supercharged Honda Prelude perhaps? It's not that turbos are intrinsically less reliable than superchargers; it is simply that the turbo market has recently been flooded with cheap copies made in China, some of which have been OK and some of which ought to have been sent to dollar stores as paperweights. So far this hasn't happened to the supercharger market. Reputable turbos hold up fairly well. The Chinese turbos seldom turn up on daily drivers; the one with 20,000 miles is simply the longest I've seen it go, but the turbo didn't fail - it's still up and running and accumulating more miles last I heard. I've owned factory turbo cars with over 200,000 miles that were, as near as I could tell, still on the original turbo.